Currently in his third term as the Senator for Hawai‘i's 12th Senatorial District, Senator Brickwood Galuteria serves as Vice Chair of the Committee on Hawaiian Affairs. He is a member of the Economic Development, Tourism, and Technology Committee and Government Operations Committee, as well as the Ways and Means Committee. 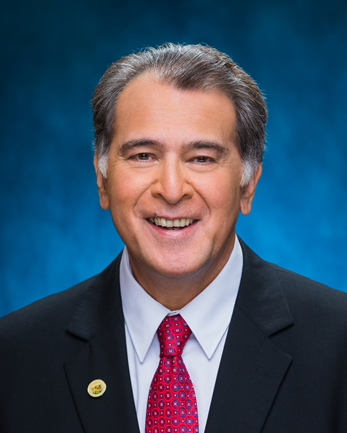 Senator Galuteria represents Hawai‘i's 12th Senatorial District and has served in the Hawai‘i State Senate since 2008. He lives in urban Honolulu with his wife Lehua. They are the parents of five grown children and eight grandchildren. Kūpuna Power Comes to Hawaii Seniors' Fair "The Good Life Expo"
Kūpuna Power, a fun-filled event that provides entertainment, information, exercise and aloha for seniors, is scheduled to make a special appearance at the Hawaii Seniors' Fair "The Good Life Expo" on its final day Sunday, September 28, at 2 p.m. Admission is free. Kūpuna Power was established in 2012 by Sen. Brickwood Galuteria and Marlene Sai. The event celebrates Kūpuna and seeks to empower them with important information relating to everyday life. Topics presented at the Senior Fair presentation include Medicaid and Medicare, Identity Theft, Long Term Insurance and Civic Engagement. However, it's not all serious business. The event's entertainment lineup features notable local entertainers taking the stage and seniors will be asked to lace up their sneakers and take part in healthy exercise. Along with Sen. Galuteria, entertainment will be provided by Danny Kaleikini, Jimmy Borges, Marlene Sai, and this year's Good Life Senior Fair Ambassador Melveen Leed. "We put on these events annually to remind our seniors that Kūpuna Power is a state of mind," said Sen. Galuteria. "All Kūpuna have the right to self-determination, to control how they live their lives, where and with whom. What Kūpuna need is the resources to help them get there, and that's why we have Kūpuna Power and Hawaii Seniors Fair." Kūpuna Power is also now on ‘Olelo 53 as part of its Senior Sunrise program. The show airs 8 a.m. each Monday and Thursday. Melveen Leed was born and raised on Molokai and is one of the most diversified female vocalists in Hawaii. She won the Na Hoku Hanohano Award for Best Female Vocalist five times, sang at the Grand Ole Opry, performed at Carnegie Hall and has had several guest roles on Hawaii Five-O. Jimmy Borges' career spans five decades and includes interpreting the works of the most heralded songwriters and is remembered for various TV roles, such the original and now the current running version of Hawaii Five-O. Marlene Sai is an accomplished recording artist and Na Hoku Hanohano Award winner. She is one of the true icons of the island and a living legend of Hawaiian music. She also has had several acting roles in television and film. Danny Kaleikini is a legend in Hawaii and around the world. He has been entertaining for over 40 years and has performed for English royalty and U.S. Presidents. He recently received the Aloha Order of Merit Award, which honors individual accomplishment. The only other person to receive this award was U.S. Senator Daniel Akaka. Sen. Galuteria has represented Senate District 12, which included the communities of Waikiki, Ala Moana, Kaka‘ako, and portions of McCully-Mo‘ili‘ili, since being elected to office 2008. Prior to that, he served as state chairman of the Democratic Party of Hawaii from 2004 to 2006. Before getting into government, Sen. Galuteria enjoyed a diverse entertainment career, performing alongside Marlene Sai at the Royal Hawaiian Hotel, winning Na Hoku Hanohano awards, hosting radio and television shows, and producing and promoting numerous productions. 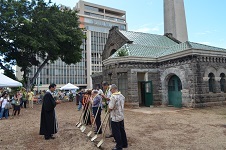 The historic Kakaako Pumping Station was given new life today, as community members came together to celebrate the groundbreaking and blessing of the new Na Kupuna Makamae (The Beloved Kupuna) Center off Ala Moana Boulevard. The 114-year-old building has been vacant for decades, with numerous proposals for its revival failing to reach completion. In June, the Hawaii Community Development Authority (HCDA) voted to approve the preparation of an environmental assessment and special management area permit for non-profit Pacific Gateway Center (PGC) to move forward with plans to renovate the historic building into a community resource center. In July, Gov. Neil Abercrombie released $1 million in capital improvement grant funds identified by the state Legislature for the refurbishment project. "We're excited to give this iconic building back to the public so that it can have new life serving our kupuna and future generations," said HCDA Executive Director Tony Ching. "It's a great feeling being the Senator who represents such a historic and evolving community," said Sen. Brickwood Galuteria (District 12 - Waikiki, Ala Moana, Kakaako, McCully, Moiliili). "This day is as much about honoring the essence of our past as it is celebrating a new beginning." The new facility is expected to serve as a learning and gathering place for the many kupuna who call Kakaako home. The Na Kupuna Makamae Center will focus on services for the elderly and specifically on intergenerational programs, in which Hawaii's youth will be engaged to help older adults with workshops and services, such as teaching computer skills or assisting with lifelong learning opportunities. 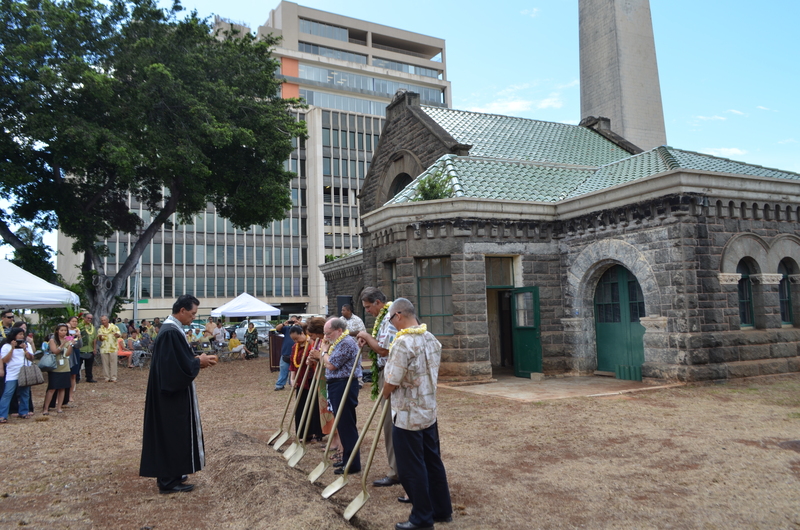 "We are extremely excited and honored to have a role in the reawakening of Kakaako through the preservation of the building that will now house the programs of Na Kupuna," said Dr. Myaing Thein, PGC executive director. Founded in 1973, PGC has developed a 40-year track record of delivering critical need-based services and designing innovative social enterprises to support the community. It offers a wide range of direct and support services to approximately 5,000 clients per year. The HCDA was created by the 1976 state Legislature to redevelop historically underutilized areas across the state. 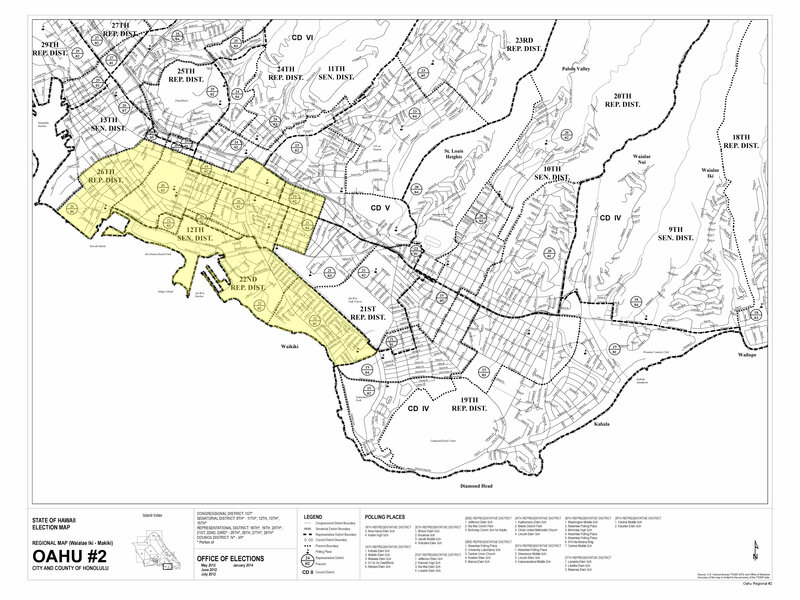 The HCDA's mission is to build communities in the designated Community Development Districts of Kakaako, Kalaeloa and Heeia, to provide more opportunities for residents to grow in a vibrant environment. In Kakaako, the HCDA is committed to revitalizing the urban core and providing housing opportunities to residents of all income levels. To date, the HCDA has overseen the development of more than 6,000 new housing units in Kakaako, with another 4,200 units in various stages of construction. By creating a community where one can live, work, and play, we give the youth of Hawaii a reason to stay here in the islands and raise future generations. Pacific Gateway Center is a non-profit organization driven by providing programs and initiatives that socially disadvantaged and marginalized population sectors of all ages, to achieving self-sufficiency. This mission leads to involvement in areas of human rights, social services, economic development health, and education in fun and innovative ways.